Wildwood, New Jersey | ride. travel. live. At the southern tip of NJ, along the infamous Jersey Shore, there’s Cape May, and a few miles north, there’s Wildwood. 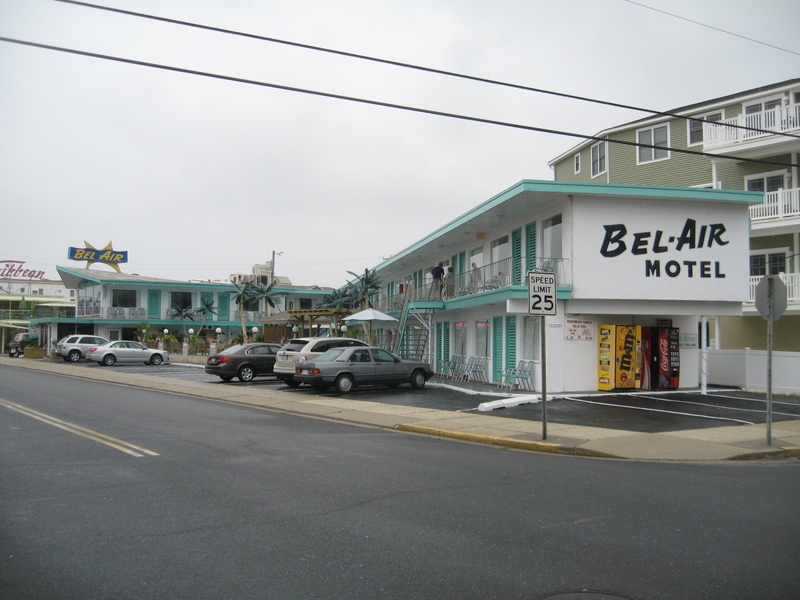 They couldn’t be more different, Cape May is sedate, Victorian, and small, while the Wildwoods (Wildwood, North Wildwood, and Wildwood Crest) sprawl along several miles of coast, with a 1.8 mile long boardwalk and a historic district full of mid-century modern motels. It’s a time capsule back to the 1950s and 1960s, the names evoking travel, exotic locales, and the Space Age, an expression of the optimism, dreams, and mobility of postwar America. For 50 years, they survived fully intact, and only in the mid-2000s did a number of them disappear in the name of ‘progress’. Still, the motel row along Ocean and Atlantic Avenues remains full of Googie / Doo Wop architectural pieces, complete with sweeping lines, cantilevers, outrageous decor, and neon signs. 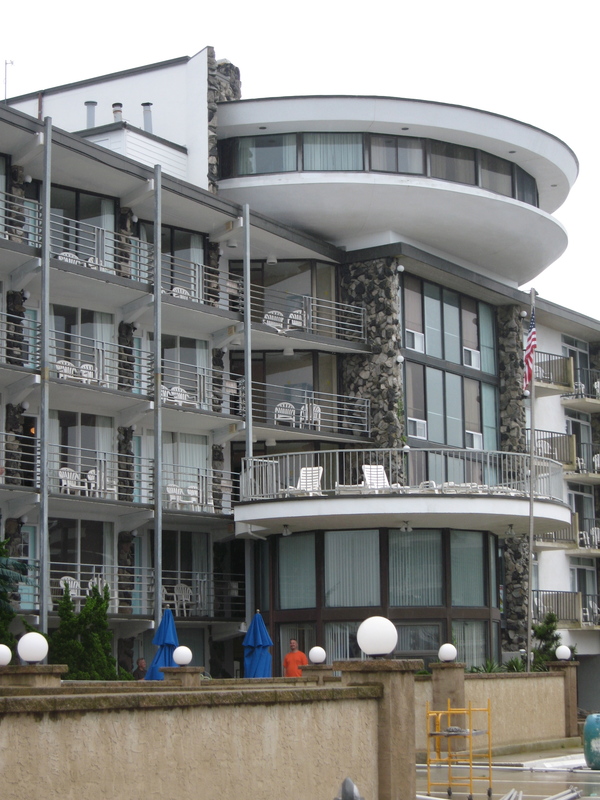 The typical structure has covered parking, balconies looking towards the water, a sundeck, and a swimming pool. They’re distinguished from one another by themes and decor, many with fake palms near the swimming pools, and other decorations on the walls. 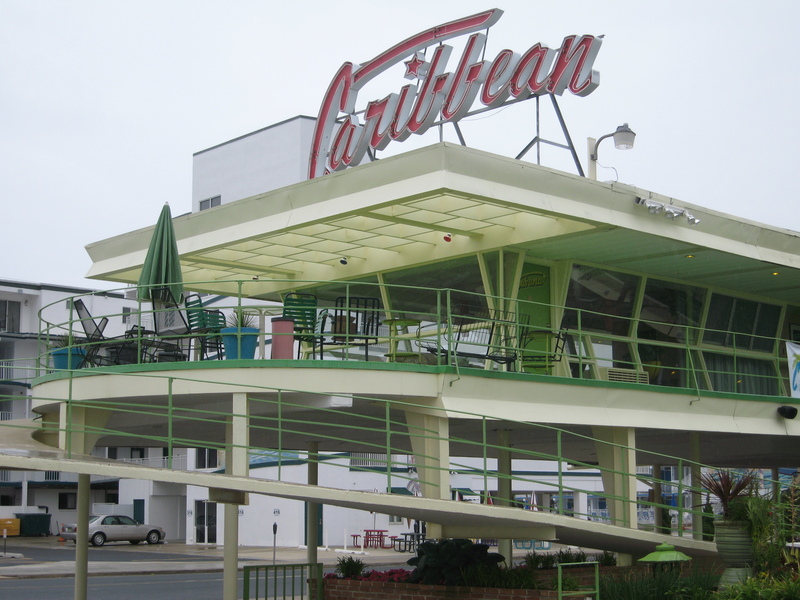 The best of them is the Caribbean Motel (1957), one of the earlier structures built in Wildwood, with a unique spiral ramp to the second floor, a cantilevered cornice, and owners that have kept the motel in good upkeep. It is one of the first structures in town listed on the National Register of Historic Places. 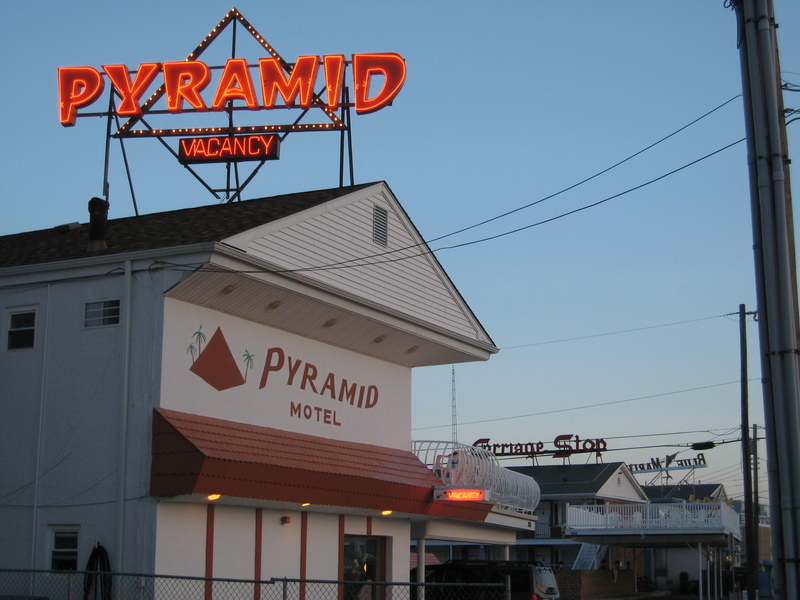 There’s other stuff, like the Singapore Motel, the Pan American and Cape Cod with the spinning neon signs atop, and 200+ properties, built between 1947-1977. Mid-century architecture in the U.S. is being razed quickly, too old that it’s out of fashion, too new that it isn’t recognized as historic or worthy of preservation. 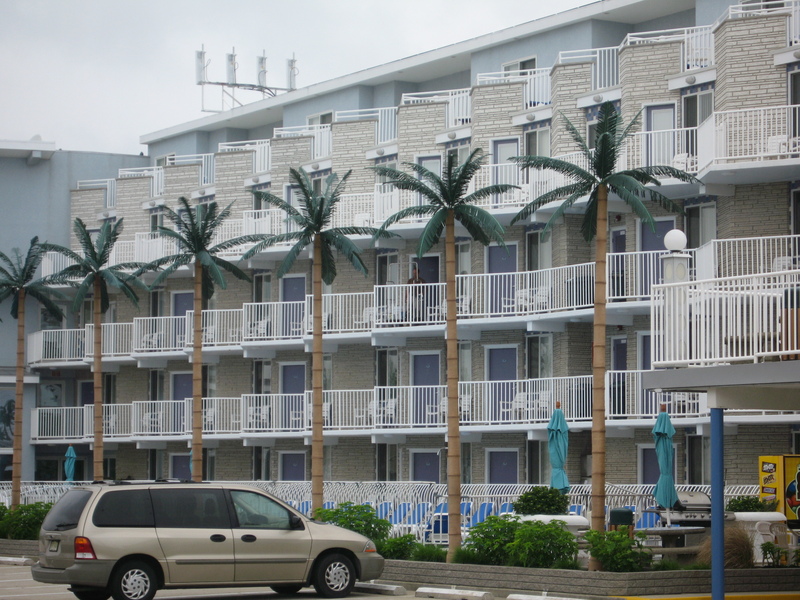 Wildwood’s motel row is luckily being recognized and renovated for ‘adaptive reuse’, and hopefully in a manner that preserves the architectural merits. For more information, visit the Doo Wop Preservation League website.